From the first time I arrived in Crown Heights, on the first day of the NYC Shabbaton in 9th grade, something in my life changed. I couldn’t stop smiling the whole week. I loved everything about CTeen. I knew it was my crowd. I really was not much of a “leader” in my community, it was a bit out of my comfort zone. I liked following, it was just…well, easier. 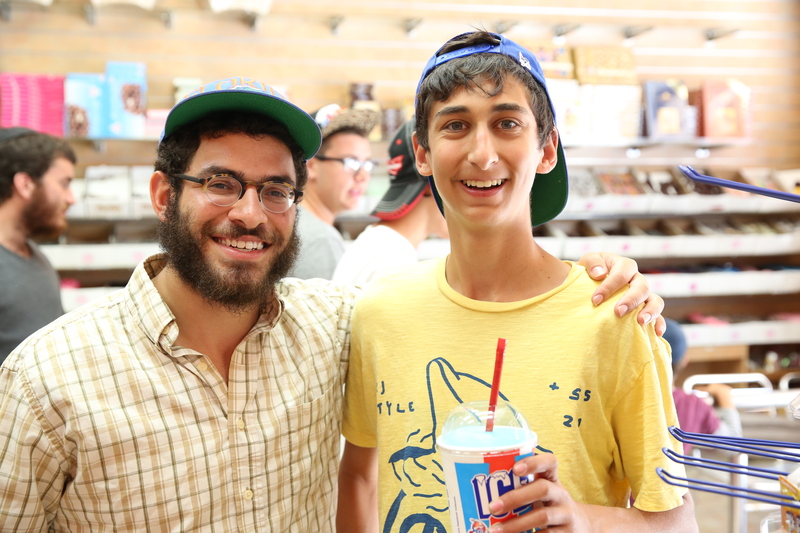 It was only after my third shabbaton where I really felt like it was not okay that there was only one place, one time, and one weekend a year when I could feel that happy. 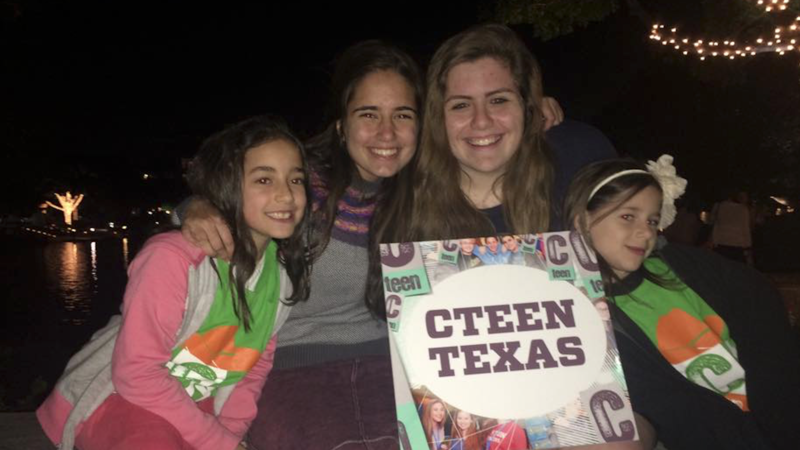 I decided that I wanted to start a CTeen Chapter, something my rabbi and rebbetzin and people in my community had been urging me to do for a while. CTeen was my haven away from all the chaos and drama of school and other students. It became a place where I felt safe. I want to create that type of space here where kids are able to bring the same Ruach (spirit or energy) from the International shabbaton to each event. I also want to introduce other teens to this kind of spirit. I know so many teens who feel lost and don’t feel like they belong anywhere. CTeen in this way, figuratively and literally, saved me from the drama many high school teens fall into. This drama could be as extreme as drugs or just falling into what’s popular rather than what is right. Another goal of mine is to make more kids from my community really enjoy Judaism. I feel that CTeen has made me so much more passionate about Judaism largely because of the amount of fun I had in the programs. In school, I stick out like a sore thumb because I practice many different traditions than many other kids in my school. However, after going to cteen it brought me more pride than anything else. It made me appreciate more of the values and traditions that I learned through the fun I had. This is something that I want to show other teens. I was shown all of this indirectly. I feel that the biggest problem with any religious institutions’ lack of teen presence is that they don’t have activities that teens will actually enjoy and want to participate in. This creates a lack of a teen community. I want to show teens that Judaism can be so much more than just sticking your face in an old book and learning, the torah is not only an old book that most people can’t understand, but it is a book that has created an entire culture and that binds us together as a nation. I get questions from kids in my school frequently asking “which stereotypes are actually true?” Here is the answer: “all jews know all jews.” As I became more involved in cteen, I started to know and meet so many different kids from around the world. For example, I went to a medical camp, and I end up in the same group as a Jewish girl from panama who has kosher food and is in the same class as one of my best friends from cteen in panama. The more involved in cteen I became, the more incidents similar to these I would experience. I loved it! In this specific scenario, no one knew why I was so happy to meet this girl. Well first, I had kosher food for shabbat and a buddy who would sit with me and do nothing on Shabbat. Second, I was so happy to see someone who I could relate with. These scenarios are not at all uncommon, and I want to show people who haven’t been involved in Judaism and aren’t interested, how great it is to be apart of this community. 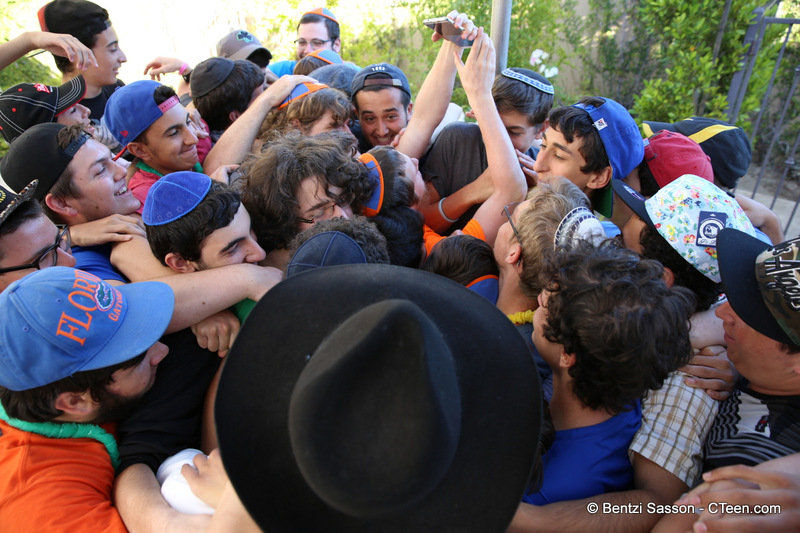 The wonderful part about the Jewish community is that it is a small, tight community that is very interconnected and welcoming. I hope to bring more Jewish kids who I don’t know into cteen and show that it is so much more than just a religion. It is a binding culture that connects every Jew. Every struggle and every simcha (happy occasion) is experienced together. My goal is to show how much fun Judaism can be while also taking in all of the wisdom that it gives. Starting my CTeen chapter was so fulfilling to watch and to grow. It really makes me feel like I am making a difference. In public schools there is such a lack of Jewish gatherings, so being able to bring that to kids who don’t get to experience that that often is very fulfilling. Also, starting the CTeen Chapter was often a place for me to have a break and not feel the pressures of school. It was a place where I could enjoy my friends and enjoy my community.